US Department of Health and Human Services (HHS) has provided H1N1 Flu Self-Evaluation guide for adults 18 and older along with a new ‘Flu Myths and Facts section’ on their flu.gov website for flu information. It provides the public with the latest and most accurate information about the flu. The new Flu Myths and Facts section on flu.gov debunks some of the myths about the H1N1 virus and vaccine, and provides accurate information on vaccinations, the flu, and public health. 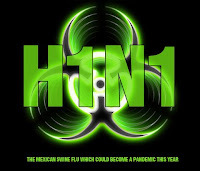 The most useful feature on the website is the H1N1 Flu Self-Evaluation. The H1N1 Flu Self-Evaluation was developed in collaboration with the Emory University School of Medicine and is given on the website to help people understand the flu symptoms so that they can make their own health decisions.